The days when you could get by with just one website, designed for a desktop computer, are over. There’s no two ways about it: you need a mobile website. Why? There are lots of reasons, but we’ll start with the statistic that stands out above all others. Last year, for the first time ever, the number of people who accessed the Internet from a mobile device surpassed the number of people who accessed the Internet from a desktop device. Considering the fact that mobile web access has only really caught on in the last decade, this is an amazing statistic. And every estimate predicts that the disparity between mobile access and desktop access will only continue to grow, as users abandon desktop devices for mobile devices. But this is just one of the reasons you need a mobile website. Keep on reading to learn what else is going on with mobile sites, and how a Baltimore web design company can help you get the mobile website you need. Responsive websites are in. Learn more about them below. First, a brief primer. Back in the early days of mobile web access, many companies made two sites. One was designed to be accessed by desktop users, and the other was designed to be accessed by mobile users. In this way, the website could be functional and usable for both parties. But as time went on, responsive web design came about. 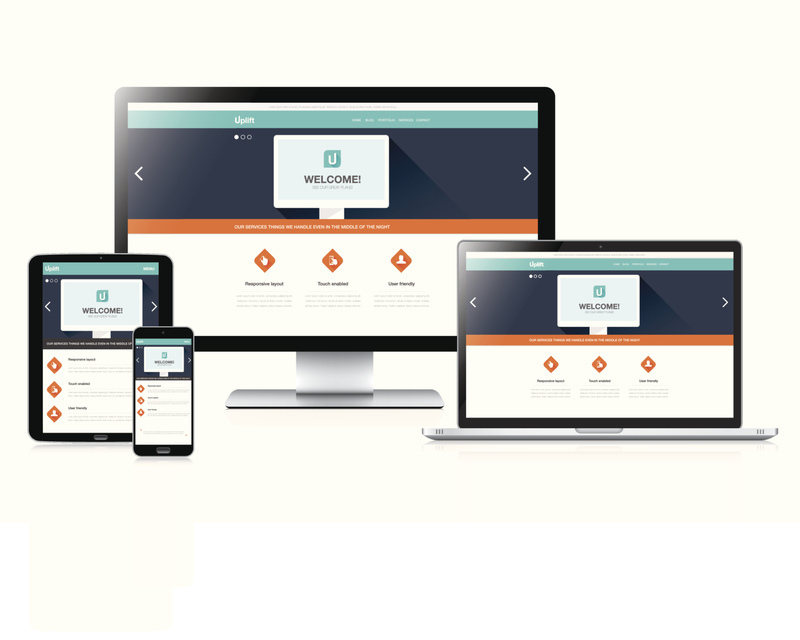 A responsive website is a website that can tell whether a user is accessing it from a desktop device or a mobile device. The website will then respond accordingly, showing the user the version of the site that corresponds to their device. There’s no need for a mobile site with this method, and responsive is the standard for mobile web design these days. Google recently enacted a new rule that it will penalize your website if it is not responsive. Why? Because responsive sites are easier for Google to index in the search engine. If you have a desktop and mobile site, it clutters up the search results, because Google is essentially indexing the same pages twice. This makes search results less practical for users. So now, if you don’t have a responsive site, Google will actually rank your site lower in the search results, which is something you don’t want. Users prefer websites that are responsive. It makes for an easier user experience, which means the user is more likely to spend more on your site, making their visit more likely to lead to a conversion, which is the ultimate goal.